Carriageworks today announced the Autumn Food Program including free chef and producer demonstrations at the Farmers Market, speakers for the inaugural MAD Mondays at Carriageworks – a talk series for the food community initiated by René Redzepi of NOMA in Copenhagen – and the first in a series of Masterclasses presented by celebrated Sydney chef, Christine Manfield. 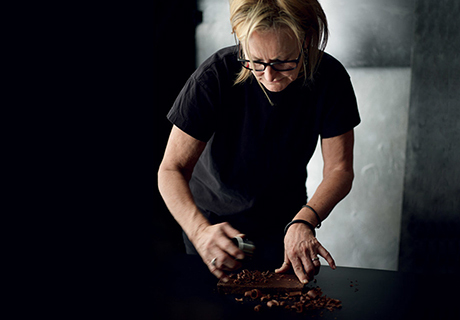 On Saturday 21 April, Carriageworks presents Christine Manfield in the first Masterclass event of 2018. Manfield is one of Australia’s most celebrated chefs and an award-winning author who regularly contributes food and travel features to magazines. During this two hour intimate Masterclass set inside Bay 20, Christine will showcase dishes focused around the theme of Flavour Partners and Seasonal Produce prepared on a state of the art SMEG kitchen. From May to July at Carriageworks’ weekly Saturday Farmers Market, market-goers can observe demonstrations from Sydney’s leading chefs and producers, hosted by food critic and writer, Jill Dupleix and presented by SMEG Australia. Chefs Monty Koludrovic of Icebergs Bar and Dining, Carol and Sharon Salloum of Almond Bar, O Tama Carey of Lankan Filling Station, and Eun Hee An and Ben Sears of Paper Bird will demonstrate recipies using seasonal produce sourced from the market that morning, and food producers Nadine Ingram of Flour and Stone, Anna Maria Eoclidi from Pasta Emilia and Merna Taouk from Dessertmakers will demonstrate their techniques. MAD, Kylie Kwong and Carriageworks will present a MAD Monday on Indigenous Foodways on Monday 16 April. Talks will be available online on Carriageworks and MAD’s website shortly following the event. MAD Mondays is an evening talk series that convenes on the traditional day of rest for restaurants. Founded by Chef René Redzepi in Copenhagen, MAD – Danish for ‘food’ – is a not-for-profit organisation that assists and inspires the cooking community to make a difference. MAD first came to Sydney in 2016 alongside restaurant NOMA’s Australian pop-up. 2018 Sydney MAD Mondays will bring together voices from across the food community for talks on the role today’s restaurants play in taking care of the environment. The first Sydney event will focus on the growing demand for Indigenous Australian ingredients in restaurants across the country. Journalist, author and broadcaster, Caroline Baum, will moderate the conversation. Palisa Anderson of Chat Thai and first generation farmer of Boon Luck Farm will speak about her farming practices and approach to utilising sustainable Indigenous ingredients in her cooking. Gayle Quarmby of Outback Pride Project, the largest bushfood-growing organisation in Australia, will discuss how her company provides opportunities for remote Aboriginal communities to access an industry where their traditional knowledge is valued. Elder Uncle Max Dulumunmun Harrison, an initiated Yuin man and the knowledge holder and teacher of the guides at NNCA and a teacher at Wollongong University, will share his insights. And Indigenous novelist and University of Sydney Law School teacher Nicole Watson brings insights from a large body of work in relation to legal issues that affect Indigenous communities. Refreshments will be provided by Carriageworks Ambassador Kylie Kwong, Josh Niland of restaurant Saint Peter and Fish Butchery, and Mat Lindsay of restaurant Ester and Poly Wine Bar. Two Metre Tall is brewing a special farmhouse ale, ‘MAD Snake’, for the occasion, and two Billy Kwong collaboration natural wines will also be offered: Manon Pinot Gris and Pheasant’s Tears Overtones. Carriageworks Farmers Market is recognised as one of Australia’s leading farmers markets. The Market features seasonal produce including organic and biodynamic foods from farmers and artisan producers from across New South Wales. Every Saturday between 8am-1pm, 5,000 people engage with over 75 producers that work within the core values of product authenticity, origin, knowledge, sustainability and excellence. Mike McEnearney is the Creative Director of the Carriageworks Farmers Market.